In A Mencken Chrestomathy (1949, 1956), 625. By profession a biologist, [Thomas Henry Huxley] covered in fact the whole field of the exact sciences, and then bulged through its four fences. Absolutely nothing was uninteresting to him. His curiosity ranged from music to theology and from philosophy to history. He didn't simply know something about everything; he knew a great deal about everything. Every complex problem has a solution that is simple, neat, and wrong. Every failure teaches a man something, to wit, that he will probably fail again next time. It [science] must be amoral by its very nature: the minute it begins separating facts into the two categories of good ones and bad ones it ceases to be science and becomes a mere nuisance, like theology. Mathematics contains much that will neither hurt one if one does not know it nor help one if one does know it. Metaphysics: An attempt to prove the incredible by an appeal to the unintelligible. My guess is that well over eighty per cent. of the human race goes through life without having a single original thought.. Pathology would remain a lovely science, even if there were no therapeutics, just as seismology is a lovely science, though no one knows how to stop earthquakes. In A Mencken Chrestomathy (1949, 1956), 625-626. The effort to reconcile science and religion is almost always made, not by theologians, but by scientists unable to shake off altogether the piety absorbed with their mother’s milk. In Minority Report: H.L. Mencken’s Notebooks (1956), 166. The trouble with human progress is that it tends to go too fast—that is, too fast for the great majority of comfortable and incurious men. From Baltimore Evening Sun (6 Apr 1931). Collected in A Mencken Chrestomathy (1949, 1956), 329-330. The truth is that the scientific value of Polar exploration is greatly exaggerated. The thing that takes men on such hazardous trips is really not any thirst for knowledge, but simply a yearning for adventure. ... A Polar explorer always talks grandly of sacrificing his fingers and toes to science. It is an amiable pretention, but there is no need to take it seriously. 'Penguin's Eggs'. From the American Mercury (Sep 1930), 123-24. 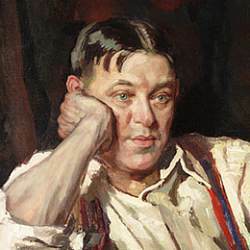 Reprinted in A Second Mencken Chrestomathy: A New Selection from the Writings of America's Legendary Editor, Critic, and Wit (2006), 166. Too many heretics are simply witch-hunters off on an unaccustomed tangent. H.L. Mencken - Teaching and Enthusiasm, from Scientific Men of Great Attainment.